HomeAn IELTS COURSE index for the four sections of the Exam. 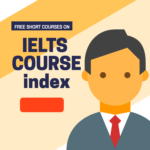 An IELTS COURSE index for the four sections of the Exam. A complete IELTS COURSE index. Please refer to our IELTS COURSE index to have access to examples and exercises from past papers. July 24, 2018 Comments Off on An introduction ielts general writing task 2 samples band 9 with exercises.